Adam Scott walked away from the US PGA Championship with plenty of positives, despite wasting an opportunity to clinch his second major title. 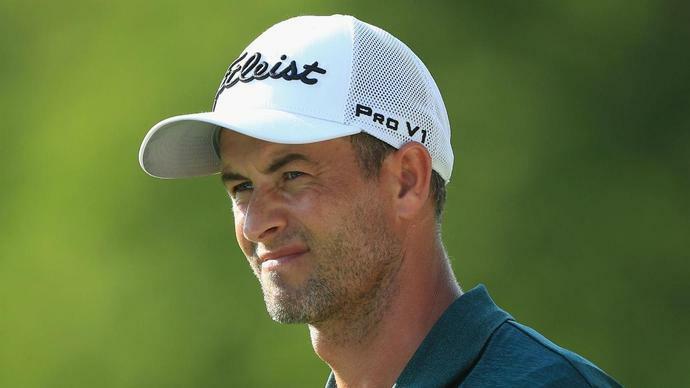 Former world number one and 2013 Masters champion Scott finished third at Bellerive Country Club on Sunday, three shots adrift of winner Brooks Koepka. Scott - who has struggled to reach the lofty heights of 2013 - turned back the clock in St Louis and went toe-to-toe with Koepka, even grabbing a share of the lead thanks to birdies at the 10th, 12th and 13th holes, but the Australian came up short. "I got off to a really slow start, so I was not super comfortable early in the round," Scott told reporters. "I wasn't hitting the best shots, but I scrambled where I had to and finally got a birdie to go on. "A good par putt on six and then birdied seven, eight, and then that calmed me down a lot. And made that really good run through the turn and felt like I was right in it. "But there was lots happening out there. Tiger [Woods] was charging at times, and that was filtering back through the groups, certainly. Every leaderboard that changed, no matter what hole you were on, you knew what Tiger did, and it's a really fun atmosphere to be in. But I was pleased with how I played through the turn. "Unfortunately, just didn't have it the last couple of holes. If I was critical of myself, I just didn't drive it up to what I would expect in this kind of situation to win. But I think overall there were lots of positives for me." Asked if he met his expectations set at the beginning of the week, Scott said: "If you told me I would have shot these scores at the start of the week, I would have been very pleased. "This was some really good golf this week. It is hard to rationalise everything after leading with four holes to play and you want to win from that position. And I feel like I've led a lot of majors with four holes to play and not won them. "But shooting 70, 65, 65, 67 is good golf at a major championship, and I will be taking confidence out of that for sure." Scott ended the major season with a share of 17th place at The Open, T32 at the Masters, while he missed the U.S. Open cut. "I can give myself a pass now for sure," he said. "I teed off in the last two major championships in contention. That's better than for a couple of years, I would say. That's a good thing. "Definitely moving in the right direction. I don't think it will be rocket science for us to figure out, the small little bits that may be missing, and if anything, this is motivation to kick on a little bit, make the most of the rest of this year, continue playing at this level, and go into next year's season full of confidence."